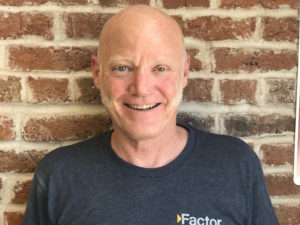 Hi, I’m Patrick, a Lead Carpenter at Factor Design Build. I moved from Minnesota to Colorado with a background in carpentry and ski instruction with the intention of staying for one ski season. Now it has been over 25 years since I moved here. Colorado has no humidity, no mosquitoes, and great snow! I’ve spent the majority of my career building custom homes in Summit County, Colorado. Keeping an open mind has allowed me to learn from many people, help me develop an eye for detail, and constantly improve my skill set. I enjoy traveling with my wife, skiing, and listening to music including my always-expanding vinyl LP collection.